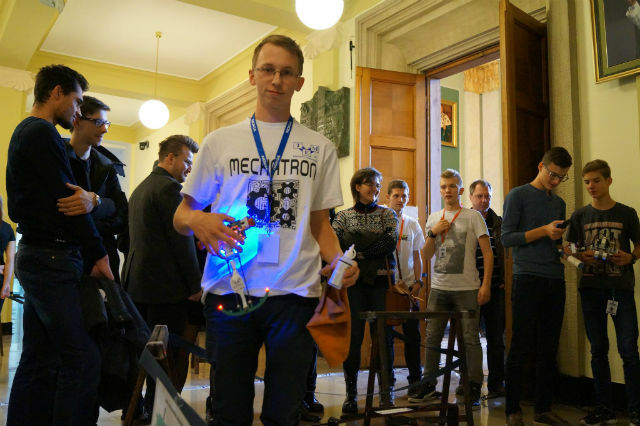 Mariusz Pałubicki builds robots for over two years, and his projects have been well-acclaimed from the very beginning. 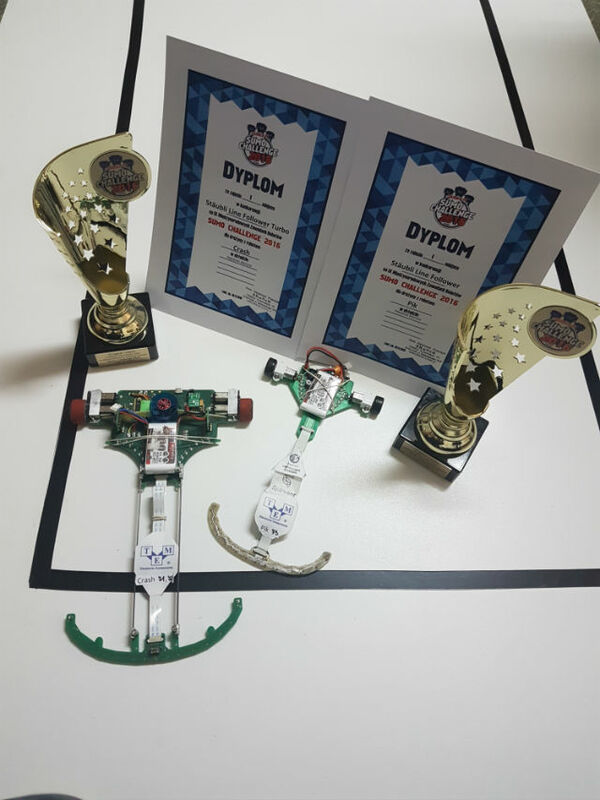 TME gladly supports Mariusz and follows his performances in robotics contests both in Poland and abroad. Mariusz rarely finishes outside the podium. It was also the case in a few of the latest competitions. 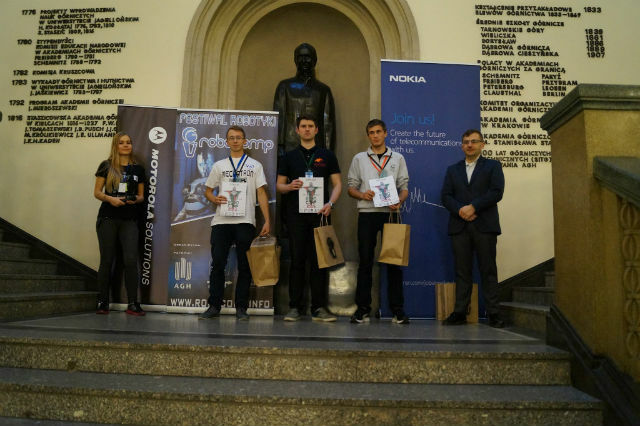 At the Robocomp robotics festival, which took place on 22 October 2016 at the University of Science and Technology in Kraków, our man won as many as three top prizes in the Linefollower and Linefollower Enhanced categories with his robot Crash, and also finished first in the Linefollower Light category with Pik. 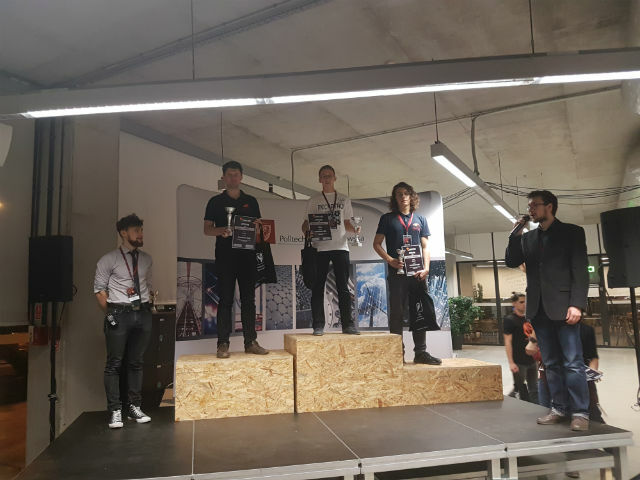 On 19 November 2016, during the Sumo Challenge event in Lodz, despite serious technical problems with Crash, he won the Linefollower Turbo category, as well as the Linefollower category. 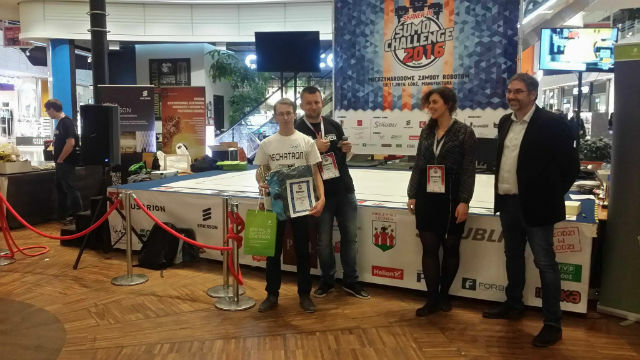 On 10 December, Mariusz amazed the audience in Wroclaw during the Robotic Arena event. He won the top spots in the Linefollower Turbo and Linefollower Standard categories, and was a runner-up in the Linefollower Drag category. We’re very happy and congratulate you, Mariusz!